Free vector footage graphics pack. 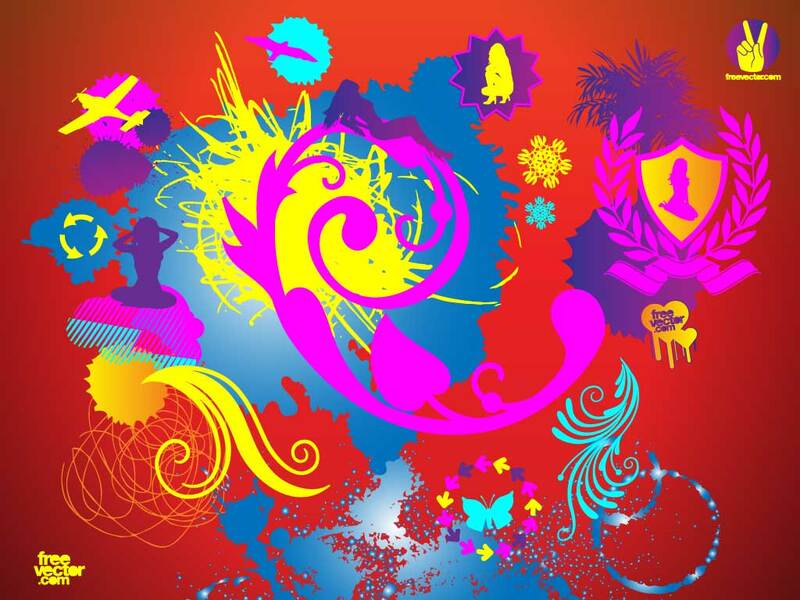 Another great clip art bundle from the talented artists at FreeVector.com. This freebies vector art bundle includes girls silhouettes, dynamic swooshes and cool ribbons, decorative plant and flower scrolls, colorful grunge paint splatters, elegant shield, arrows, airplane, butterfly, palm tree and pen scribbles. Tags: Airplane, Girls, Grunge, Paint, Silhouettes, Splatter, Splatters.